This time I am here with a blogpost on “How to increase Domain Authority?”. This blog has list of all effective tips to increase DA/PA of a blog. These days DA is the most important factor to check the quality of particular website in absence of Google Page Rank Updates. A good DA means the website is quality website and having useful content for readers. Domain Authority is the measure of power and popularity of a domain. Many search engines use this term to rank WebPages in SERP. It is just like Google PR and Alexa. Domain Age – Old domains are always considered most trustworthy than new. Popularity – Most incoming back links from other WebPages indicate that website is doing great job for its readers. 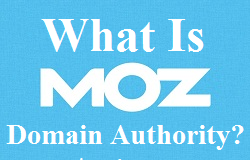 Moz has introduced one more term named Page Authority. The only difference between these two metrics is PA is not site-wide alike DA. Domain authority is a site-wide rank for all the sub domains, pages and root domain. This rank starts from 1 and end on 100. According to SEO Moz team it is much easier to get DA 20 to 40 as compare to achieve DA between or more than 60 – 80. Update your blog more frequently. Engage your readers with Engaging content. Make your content linkable. Be active on all your social media profiles. Share your posts on social media sites. Get valuable link backs for your blog. You can do guest contributions for that. Make your website Google Search Friendly, ensure that your technical SEO is in place. Create relevant Internal links for your blog. Clean your link profile time to time. Be patient and wait for your domain to be ‘Older’. Do share your views about this post via our comment section. We love comments. I think these are not the only tips which can increase your domain authority. But you have written all the important points. Thanks for sharing the info. Your all points are important in terms of DA but in terms of PA, these are not sufficient. I appreciate you for sharing the valuable information. Hey Jayhind, Thanks for the feedback. I will do some research and then will get back to you. Any idea when will it come ?? I am also waiting for the next PR update. Though i have no clue when would be the next Google PR update come 🙂 Let us wait and watch. I am wondering if long post effecting site density matter on domain and page authority. And for that matter your comment sections on popularity. It is easy to push a like button. It actually takes time to write a comment. I know one blogger that is very good at it, SEO optimizes this post to death, writes pretty short ones to not wear the reader out. And he worries about his comment section effecting his ability to search engine rank so much he barely approves any. I write almost opposite to him. He writes short post. Mine are very long. He heavily optimizes for SEO and I do, but just go with natural flow. He will barely approve a comment. I approve everything that isn’t spam or a troll. Edit the comment down if need be. His site is much older then mine. His Alexa rank way lower although I think he heavily manipulate its. Nobody has a legitimate average of 20 pages per session. Domain and page authority though. Although his site is older and has 3 times the post on it, I easily caught him and easily going way past him. So post length and comment sections seem to have allot to do with this. Thanks for writing us back on Domain Authority. nice information, i hope after i did all your tutorial, it could increase my Da and Pa, thanks for sharing it ! Yeah, Hopefully you will be able to improve. Thanks for sharing your views & the trick question. I will not say High DA blogs rank well, it actually depends on the content quality, content freshness and use of Title & Media description. And Yes for sure in any case DA is not a waste.